“Do unto others as you would have them do unto you.” Such is the golden rule taught to children throughout the years. This begs the question, if so many children have grown up knowing this rule, why it is that society experiences so much animosity and aggression? When one is accidentally cut off in traffic, road rage erupts. Too often individuals live with a “me first” philosophy. In our crowded world, patience for others wears thin, old fashioned ideas become offensive, and even a misunderstood glance can turn into an altercation. 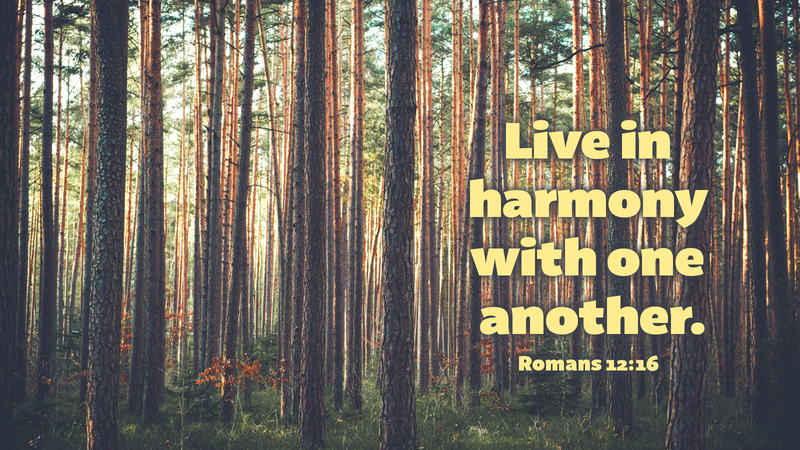 As Paul addresses Christian behavior in the midst of the Roman culture, he calls God’s people to live according to a higher standard. The apostle instructs the Church that as we are united as one in the mystical body of Christ, we should live according to the loving example of our Lord. “Let love be genuine. Abhor what is evil; hold fast to what is good” (Rom 12:9). Ours is not to exact revenge against those who sin against us, nor are we to repay evil for evil. God alone is judge; in his hands are the means of correction and forgiveness. Surely, vengeance belongs to God. Prayer: Give us hearts for love, O Lord, and pour out your love upon us. Amen.